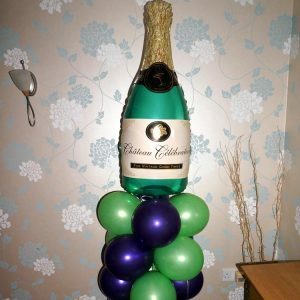 This fun floor standing display will cheer up anyones day! 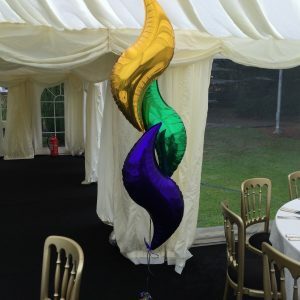 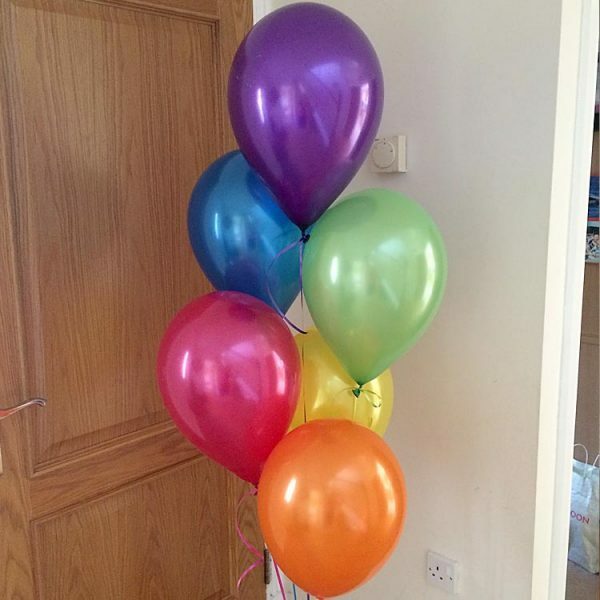 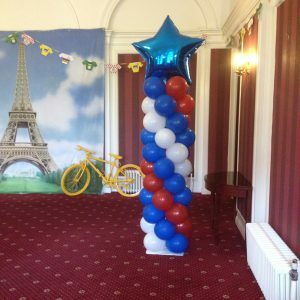 A group of 6 helium filled pearlised latex balloons grouped together on a single weight. 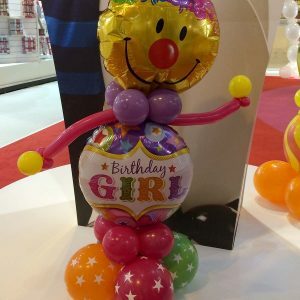 Note – helium latex balloons will only last 12 hours from time of inflation.